Fast and Furious 8 – The Fate Of The Furious is expected to be not just one of the best in the franchise a great line-up of modern and old muscle cars. There’s obviously going to be the usual amount of stunts, fight scenes, car races, but this time around a whole host of Dodge vehicles. 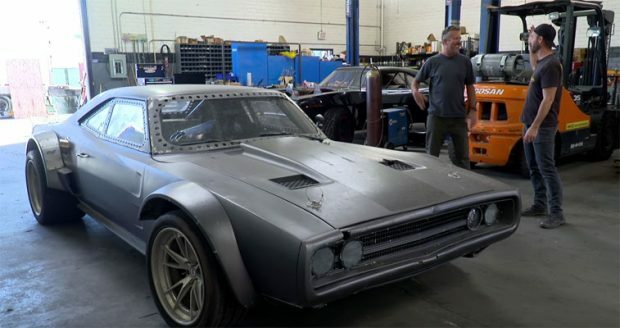 Youtubers Blair and Martin managed to walk around the latest vehicles for the film which had their fair share of Dodge vehicles in the lineup. Customs, new vehicles, old vehicles, but just like any car movie many of the stunt cars get trashed and end up in the junkyard. This is probably where people can pick them up and get future rarities. If they have a keen eye! Check out the video to see these incredible vehicles from the upcoming FF8 movie. ← Previous Story Chevrolet Release the New Camaro GT4.R. The Best Track Focused Vehicle Yet?